West integrates with your current solutions and makes it easier for you to conduct business, reduce cost, streamline processes and improve quality control, all while increasing transparency. It is our mission to condense the life cycle of a transaction, reduce the cancelation rate and facilitate data exchange/security for all parties. 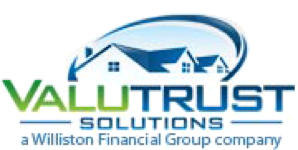 Valutrust includes a full array of valuation services, title and closing services, verification services as well as flood certification and appraisals. It is integrated directly into your LOS. The funding dashboard allows you to manage your entire pipeline with a title company and manage the market cycles without the fluctuation of your team members. West consultants work with lenders of all sizes to ensure they meet the current regulatory and compliance environment. The CFPB has created a backdrop for West to integrate with and protect the client. We understand that one of the biggest expenses to lenders is compliance and our technology and team of experts always puts compliance first. With the cost of originating a loan increasing 25%, lenders must now look for new ways to impact their bottom line. Using data exchange, condensing the transaction cycle and reducing cancellations rates are great ways to remain viable in an ever changing market. The average home buyer’s name is typed upwards of 15 times in every transaction. This creates a lot of redundancy and error. West’s platforms reduce this error creating a more streamlined transaction process.